I grew up near the sea, lived in Dubrovnik where I was working, and retired moved in Podgora, searching for a quiet small place where you can live without stress... love sea, nature, and love to host my guests and make their holidays great.Welcome to my home! I like Podgora because of very good climate, lot of sunshine, mild winters, very nice beaches, good food, healthy life, away from busy city if I want, everything is so close.Perfect location, for holidays and living! "This is our favorite place for family vacation! Immaculately clean and well maintained, very private and quiet but convenient to everything. The beach is only steps away! We enjoy the terrace and the view. We will keep returning as long as we can! Great value!" "One of the best rentals we ever stayed in: very clean, equipped with everything you need during your stay (lots of towels, soap, washing machine, fridge etc), very close to the beach and with easy access (we had a stroller and a 3 month old to carry with us all time :-) ), very close to the restaurants, bakery, market, wonderful scenery and the kindest host ever (she even made us cookies when she found out it was my husbands' birthday!). We really enjoyed it and we would definitely recommend it to everyone (in fact we already did!)" "Oh, it was simply great! The apartment is marvellous, it has everything that you could wish for. It is very clean, everything is new/renovated, it is fully equiped, Alida really thought of everything for her guests. There is this wonderful garden just outside and a terrace where we took breakfast every morning and looked at the sea, the view is simply amazing. The apartment is in a great location, away from the street noise but at the same time very close to the beach and to the bank. It's easy to get to and it has a parking place, in case you come by car. We were very impressed with the owners' kindness, we had a great time there. We warmly recommend this location!" "The accommodation was clean and the owners were perfect hosts. The location is above the main beaches and all shops, and is very convenient. There is a fine view over the bay and port. The apartment has all required facilities for comfortable living. There is a chained car park behind the apartment building." "Very close to the beach but at the same time very private and quiet. Clean, well equiped and convenient location - great value!" "Rarely do we visit the same place twice and this time for two weeks. Alida and her apartments for us are exactly what we look for. The apartment is very clean and comes with everything you need. The shaded terrace is cool for the better part of the day and pleasant in the evening. The air conditioning and washing machine are a definite plus. The apartment comes with a grill for charcoal barbequing in the garden and we used it every other day. 15 minutes drive to Makarska is a large Konsum Market for all your grocery needs. The apartment comes with a locked gated parking place within 5 minutes walk. The beach and Podgora promenade are just down the stairs 50 meters. Podgora has everything you need from bakeries to good restaurants and bars. We enjoyed our dinner at the Hotel California restaurant. We visited the inland of Hvar this year taking the local ferry from Drvenik and driving the length of the Inland to the city of Hvar. 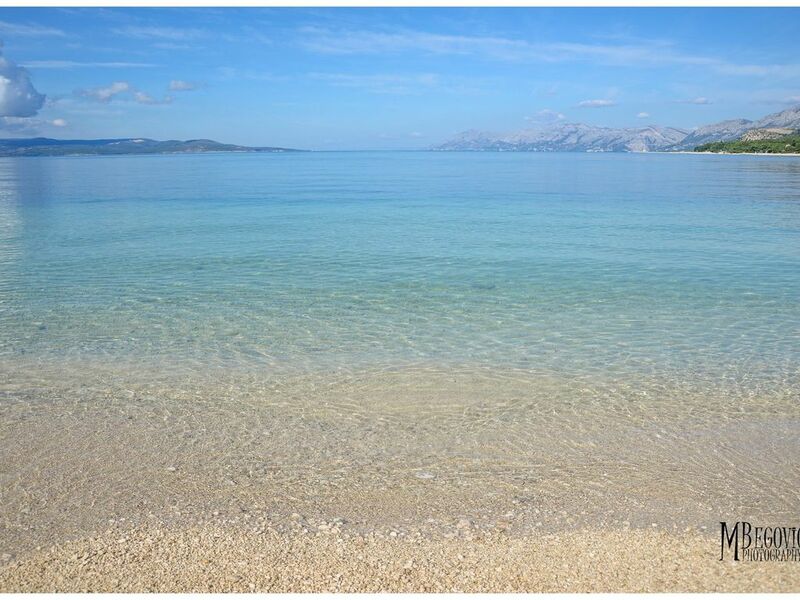 The drive is high adventure and Hvar is not to be missed similar to Dubrovnik and Korcula. This was our relaxing beach bum vacation and it lived up to our expectations." If you are looking for a relaxing holiday, this is a perfect place for you. You can enjoy swimming in crystal transparent sea, relaxing under the gorgeous pine trees or sunbathing on the mild mediterranean sea. Enjoying the healthy mediterranean food in local restaurants makes your holiday even better. You can make day aexcursions to all good known places, like Split, Dubrovnik, Trogir,Mostar, and also boat trips to islands, Hvar, Brac, Korcula. It is a quiet location, but well connected to visit all known places around, and you even don't need a car.